Is My Dog Trying to Dominate by Going Out the Door First? I have a new, very large German Shepherd I recently adopted. He’s great in every way, but he does rush out the door in front of me. I have read that this is a sign of dominance. Is that true? How do I get him to stop doing this? 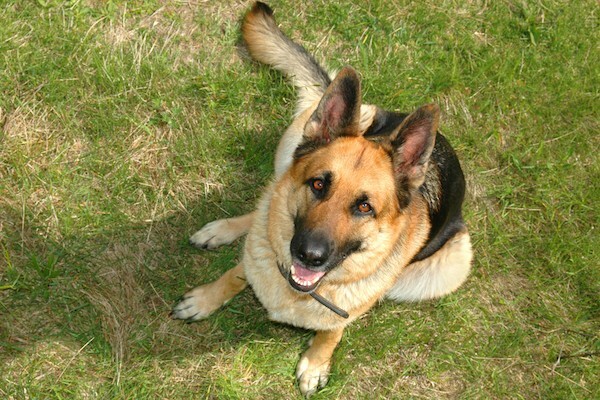 I love German Shepherds! I have shared my life with seven of them (so far). What I don’t love is the misguided, outdated, irresponsible, harmful, inadequate, demoralizing, and scientifically refuted concept called dominance theory. Thank you, Bob, for asking me about it, so I have the opportunity to clarify why it does not exist.